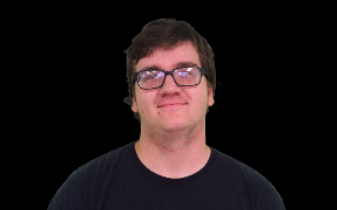 Lucas is an editor for the broadcasting class and creator of the Trojan Minute. The Trojan Minute is a short video segment to help students get to know others around AHS. Behrens once made a video about Nate Renz and said it makes him proud because of the positive feedback about the video and the effects he created and put together for it. He is not in the actual broadcasting class so this can be a challenge for him, as he is expected to know how to do the things the others in the class do and it is difficult to remember where every option and effect is on Final Cut Pro. Behrens has been involved in band, Boy Scouts and Student Council. He plays bass drums and contrabass clarinet in band and in boy scouts he is one rank under Eagle Scout, which is the highest rank that can be achieved. He is also a household cook that helps feed the residents, cleans the dishes and makes sure everything else is clean at all times. His work hours vary.